Osinbajo’s statement on Magu was a personal opinion – Garba Shehu – Royal Times of Nigeria. The Senior Special Assistant to the President on Media and Publicity, Garba Shehu has said the statement made by Acting President Yemi Osinbajo on the confirmation of Acting Chairman, Economic and Financial Crimes Commission, Ibrahim Magu, was a personal opinion. 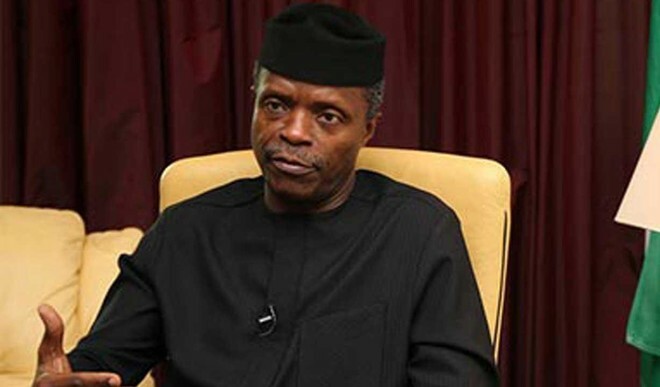 In an interview, Osinbajo had said Senate confirmation was not needed for the EFCC chairman based on the provisions of Section 171 of the constitution. The statement had angered the Senate which agreed to suspend confirmation of all appointments made by the Presidency. Shehu while speaking with journalists in Abuja said the statement was Osinbajo’s personal opinion which he made as vice-president. He said, “Our understanding is that some remarks made by the Acting President some months ago when he was the Vice-President, because the President was around at that time, an opinion he gave is being misconstrued. “A senior lawyer in the country offered an opinion, in which he said some categories of public officers, traditionally cleared by the National Assembly, need not go through that process, that those ones can be appointed through presidential fiat; they don’t have to go through screening. “There is no official position by the government of Nigeria, and the Federal Executive Council never sat down to take a decision to say that some categories of officials will not be sent to the National Assembly any longer. “The authority of the Senate, under the Constitution to screen and pass nominees, has never been questioned by the government or the Federal Executive Council. “From the time the Vice-President gave that opinion till now, more than 20 nominations have been forwarded to the Senate and quite a number of them have been screened, sworn in and are now occupying positions.